Helium, a San Francisco-based IoT company specializing in smart sensing and monitoring, announced Monday it has closed its Series B funding round of $20 million led by GV (formerly Google Ventures), with participation from Khosla Ventures, FirstMark and Munich RE/Hartford Steam Boiler Ventures. GV General Partner Andy Wheeler will also join Helium’s Board of Directors. "We see significant market potential for IoT in the commercial and industrial world, monitoring things like freezers for cold chain compliance, heavy equipment for preventative maintenance and air quality inside factories," said GV's Andy Wheeler. "The Helium team has solved many of the issues that have tripped up previous industry attempts at building an IoT platform." Founded in 2013, Helium applications are currently in trials with various customers in the healthcare, food and beverage, transportation and grocery industries, including restaurant chains and several of the country’s top hospitals. 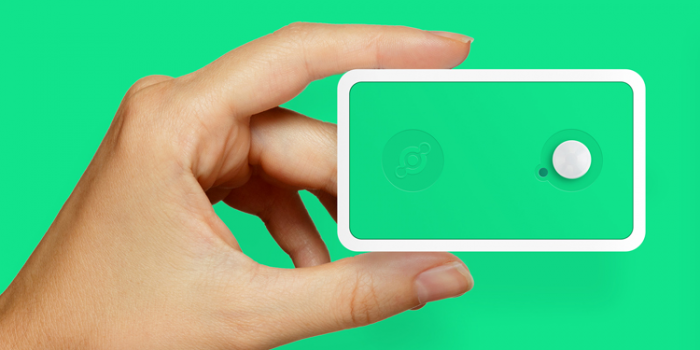 The company also announced a new environmental smart sensor—Helium Green —that monitors temperature, humidity, barometric pressure, light and motion. The sensor allows companies to capture rich data about their environment and create business insights with Helium scripting at the edge and in the cloud. One example use of Helium Green is to monitor occupancy of a conference room by sensing motion in order to manage energy costs, comfort and utilization. The smart sensors are deployed by pulling the battery tab and placing them on a ceiling or other surface. Additionally, the company announced the launch of the Helium Pulse application for web and mobile, which enables remote monitoring and alerting so that companies can control Helium smart sensors, program alert parameters and create business value based on those insights. Real-time alerts can be delivered through email, text or app-based notifications or integrated into existing business systems through modern web APIs. Pulse handles management of the smart sensors from the cloud and provides reporting and data visualization for all sensors in the system. Helium’s CEO & Founder Amir Haleem said it's "software-centric approach to smart sensing has proven to be incredibly valuable in bringing solutions to enterprise customers quickly and flexibly. Today’s series B funding announcement... positions us to transform multiple industries by introducing the Helium IoT platform at scale." The company originally announced its Series A funding in October 2014—a $16 million dollar investment led by Khosla Ventures with participation from FirstMark Capital, Digital Garage, Marc Benioff, SV Angel and Slow Ventures, among others.